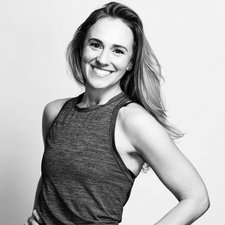 ACE Certified Personal Trainer, Yoga Alliance 200 hr, Barre certifications in both London and Chicago, Pre/Postnatal fitness specialist. I work as a body language and nonverbal communications specialist. My company, The Narrative Body, teaches people about power they hold in their nonverbal aspects of speech. My happy place is anywhere I am drinking coffee. Never stop learning! I am committed to always being a student and expanding my knowledge surrounding all aspects of fitness, health and wellness. A balance of success and challenge. I also hope you've learned something new that you can incorporate into your personal fitness practice.